New York & Company online private sale! These red-hot trousers are perfect for work with a flattering wide-leg cut and overall sleek appeal. Enjoy fun prints and bright hues as the weather warms up. Give some spring bloom to your work wardrobe with these floral button tops. Today’s outfit is not as serious yet casual-chic with a bit of a sporty feel to it. 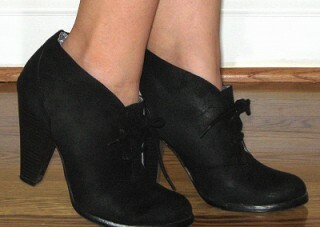 I have two fashion finds to share with you today. I was looking for a new pair of dress pants to wear on a quick business trip but didn’t want to fork out $$$. 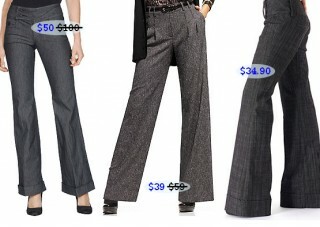 Flared & wide leg pants are workchic’s personal favorite. Comfortably flattering and sophisticated at the same time, making them a must-have workwear staple.